*This blog post has been refreshed for 2018. Email is still as popular as ever and has a continually growing user base. This is why email marketing is so attractive to marketers and is a great way to help your business grow. Email marketing can include anything from newsletters to e-zines, email promotions, daily deals, advertising, auto responders, marketing automation and much more. 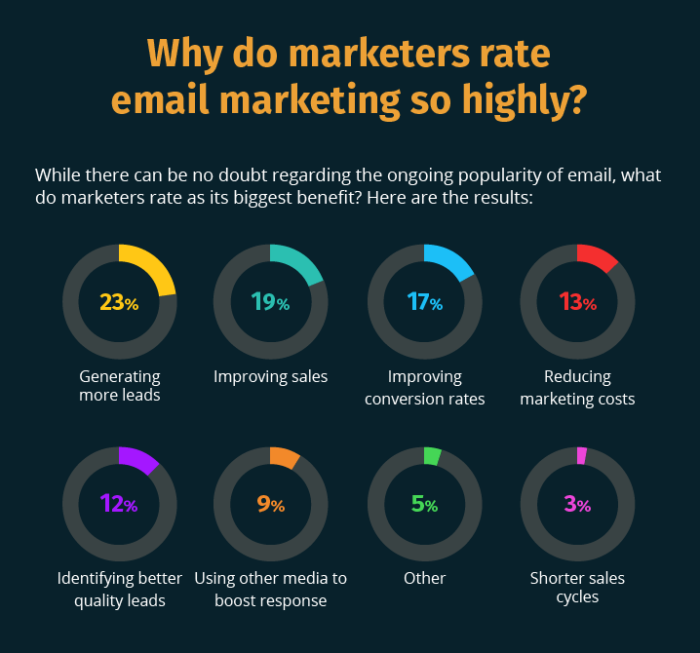 Why do marketers rate email marketing so highly? The reality is that by utilising email marketing you can get your business’s marketing message in front of the target audience you are trying to attract and convert them into customers. Email marketing is essential in this day and age, as we live in such a fast-paced world where business is defined by the immediacy and speed of the internet. What are the benefits of email marketing for your business? Email marketing saves you time and money, which means a more profitable bottom line for your business. According to Smart Insights (2017), 13% of marketers say that email marketing reduces marketing costs. With tools such as MailChimp and Everlytic, you can easily segment your email contacts database into subscriber, customer, prospect and lead lists. Software like HubSpot, an inbound marketing and marketing automation platform, gives you a set of email creation and publishing tools (more in-depth than the likes of MailChimp) with which you can create, publish and distribute emails without the need of a team. Email marketing tools let you design emails using templates in which you can alter the design, the copy and the call to action. One individual can manage an entire email marketing campaign leaving you with time for other vital business activities. As a result, marketing tools like HubSpot, MailChimp and Everlytic save you time in your day. However, you are also saving on costs. One of the benefits of email marketing is that you no longer have to rely on traditional advertising avenues to get your marketing message out there. The cost of traditional media and advertising such as print and TV can be very high. Not only are you saving on printing and media costs, but you are reaching your subscriber base more effectively through highly targeted customer segmentation made possible through these marketing automation tools. 12% of marketers say that email marketing allows them to identify better quality leads (Smart Insights 2017). This is largely due to the analytics and A/B testing functionality offered by these tools. 17% of marketers say that email marketing helps them to improve conversion rates, which can also be attributed to the analytics available. A/B testing (or split testing) is a testing method where you work out which of your two email marketing campaign options are the most effective for encouraging email opens or clicks. In an A/B test, you essentially set up two variations of one email marketing campaign. In a split test, you will send these emails to a percentage of your subscriber base. Half of your test group is sent the first variation and the other half is sent the second variation of the email marketing campaign. Once the results are in, the winning variant campaign is measured by most email opens or clicks. These insights can then be used to develop better performing emails for your marketing campaign. Software like HubSpot, Everlytic and MailChimp have built-in A/B testing functionality and analytics, which allow you to measure the effectiveness of your email marketing campaigns and experiments. With A/B tests, you can measure the effectiveness of your subject lines, the personalisation of sender details (such as the sender’s email address and name), email copy, images and calls-to-action (CTAs). For 23% of marketers, generating more leads is made possible via email marketing (Smart Insights 2017) which is largely due to personalisation offered by automated marketing software. To make personalisation work effectively, you will need to start off with a clean contacts database to ensure that soft and hard bounces are kept to a minimum. You also do not want to be marked as spam. Once you complete the above, you can then make use of all the fields in your contacts database. It is easy to segment your contacts database into relevant lists for use in your A/B tests and email marketing campaigns. With software tools, you can personalise the emails you create, make use of a contact’s first name and speak to a particular person’s interests. All of this helps to increase overall engagement rates and gives email marketing tools extra value in the eyes of a marketer. One of the best things about email marketing is the lead nurturing that is allows for. For 19% of marketers, using emails and lead nurturing improves the sales process (Smart Insights 2017). Lead nurturing is defined as the process of developing (or nurturing) relationships with buyers at every stage of the sales funnel and in each step of the buyer’s journey. It focuses on listening to the needs of prospects and providing them with information, content and answers relevant to their needs. In an email marketing program, you provide contacts with relevant, high quality and delightful content (such as eBooks, blog posts and other assets). All of this content provides assistance and solutions to their pain points and problems. With the more advanced automation tools, in platforms like HubSpot, you can build out lead nurturing programmes that are automated and do all of the above for you. A lead nurturing program, or workflow, is initiated once a prospect fills out a form on either one of your landing pages or on a website page. From there, the prospect is added to your contacts database. A set of timed emails are then triggered and over the course of a few days, a contact is sent relevant content via tailored emails. Contacts are then led down a path from interested lead to hot prospect and converted into customers if they are ready. There is really no reason why any business should not implement tailored, personalised email marketing within their digital marketing efforts. Automated email marketing saves you time and money; it is highly measurable, more personal and therefore more effective at converting leads into customers. 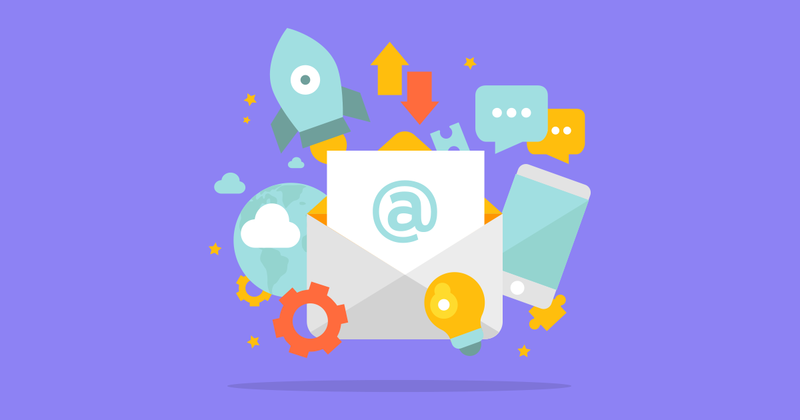 So, why not consider onboarding email marketing into your digital marketing campaigns today.